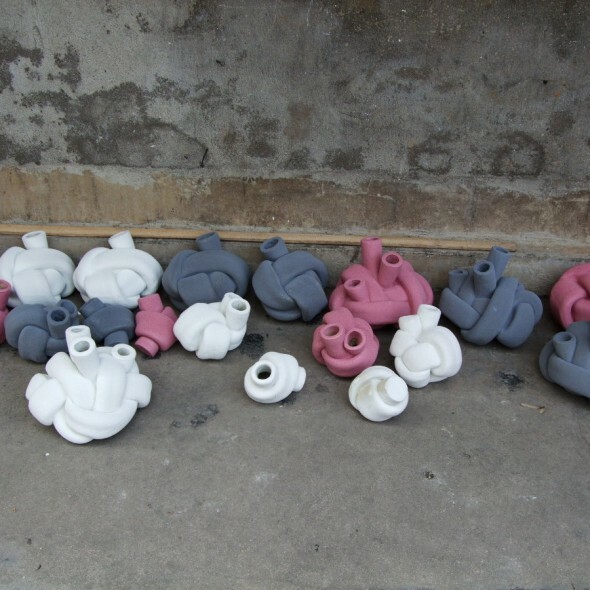 The products in porcelain contain the rubber fluidity and became a series of vases with the intriguing form flow. 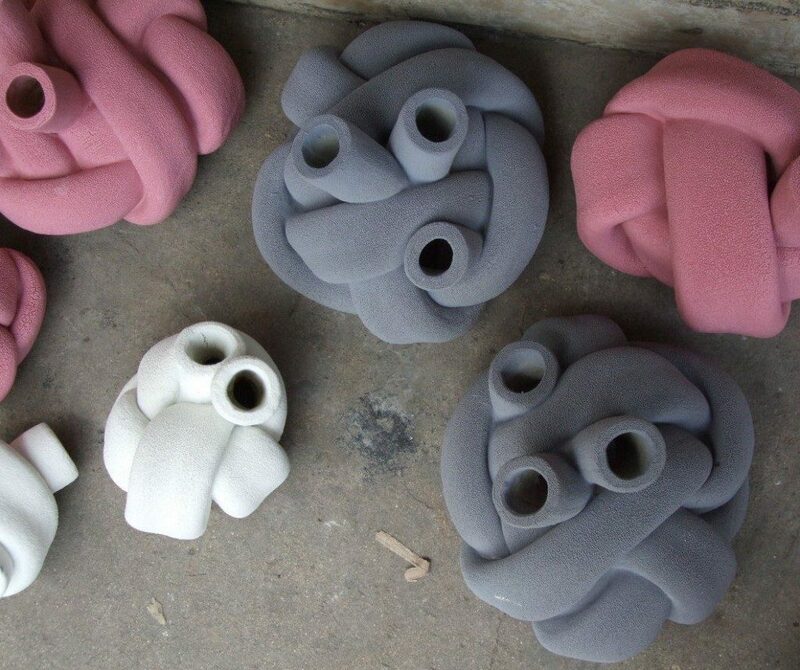 They are produced in try out selection but are currently also produced through a design shop into a new series of 3 larger sizes and colors, please contact for more information. 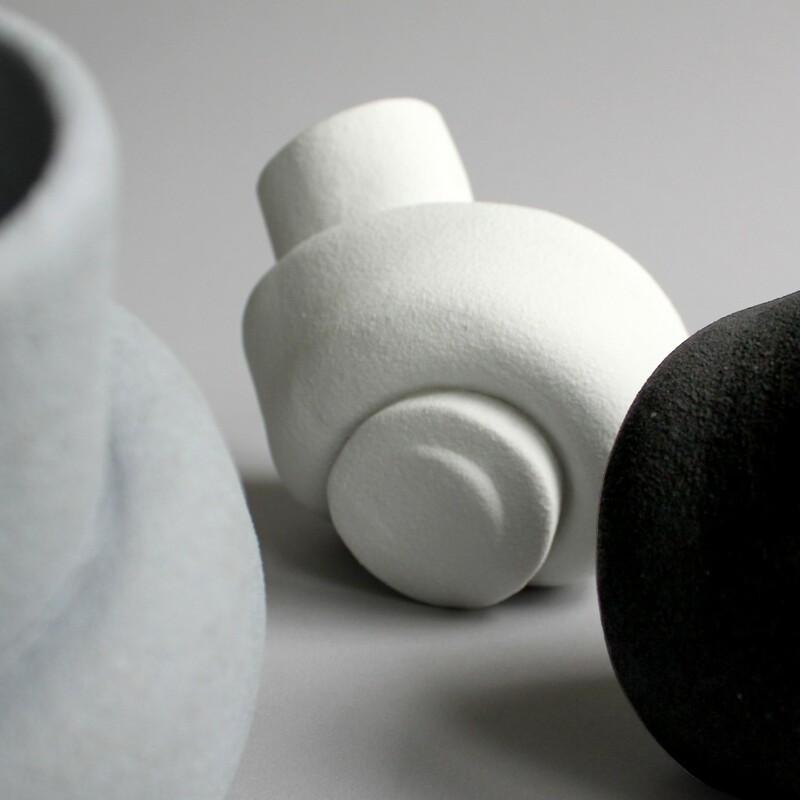 Fluid shape, form and glazes form with the soft and rough sand textures covering the skins of knotted vases. 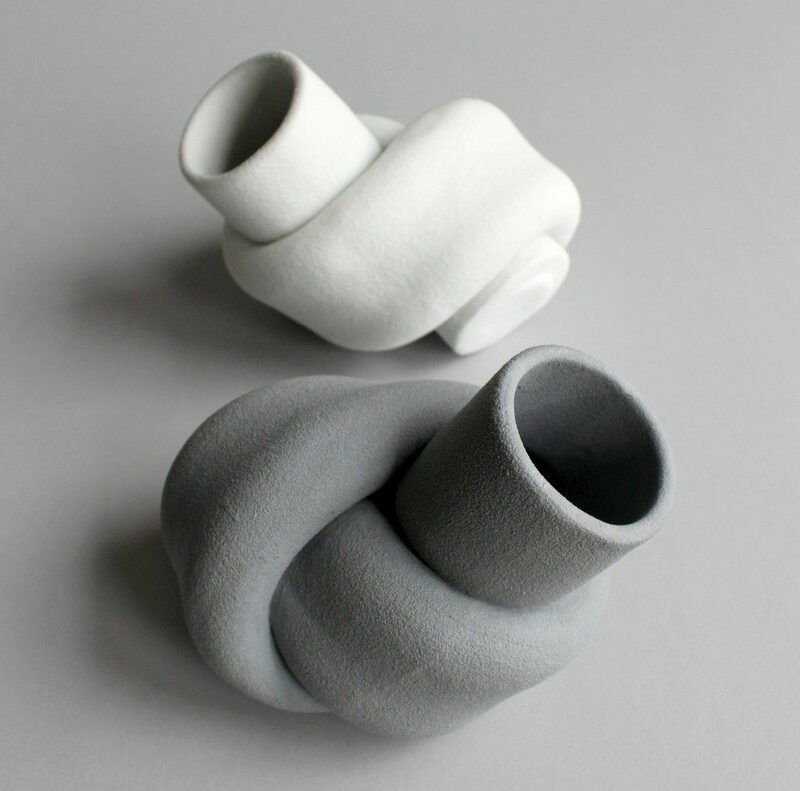 Ceramics knotted vases are grey black and white sand glazed, 15x15x10cm, waterproof with set-up edition of 30 pieces and have been featured in a variety of int. design magazines.